May 15, 2018 @ 4:30pm. The workshop will take place in the Black Box Theatre on the first floor of Da Vinci High School. 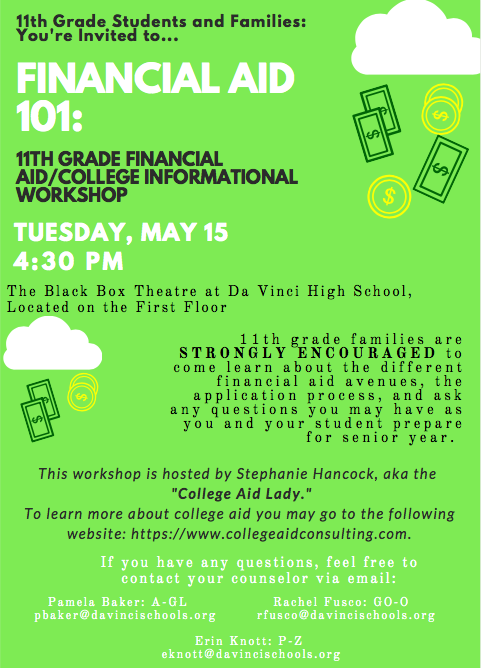 All 11th grade parents and students are strongly encouraged to attend to learn about the financial aid process. 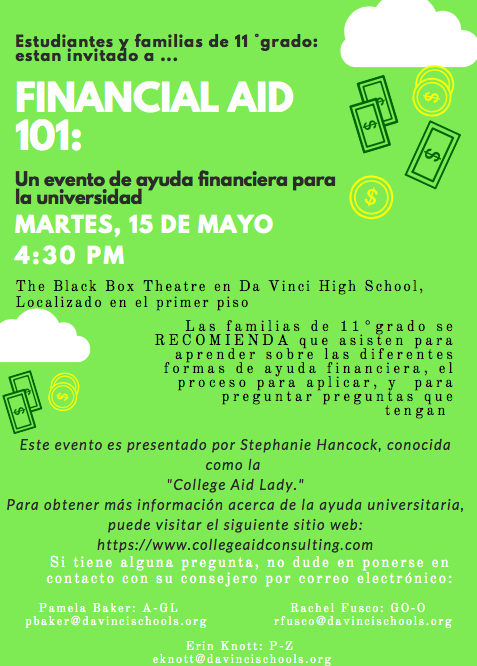 This informative presentation will allow you to begin thinking now about answers to “how do we pay for college” before the process begins in the fall. Please refer to the flyers below for more information.